Happy Flash Friday everyone! Flash Friday is the semi-regular feature here at That F’ing Monkey that looks at upcoming merchandise or otherwise shines a spotlight on my favorite superhero. Today we have a couple of items that you should be able to find for pre-order at your favorite online retailer or in Previews at your friendly local shop. If you look through the Flash Friday archives it will become obvious that I was a big fan of the Eaglemoss line of DC lead figures. They weren’t expensive, they looked good, and they didn’t take up much space. For me, they were the perfect collectable. Well they’ve decided the pieces work better in chess sets. In September they will be releasing their first Flash themed chess pieces. 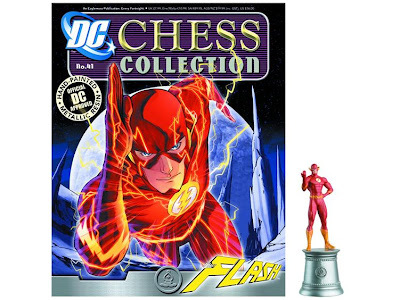 The pieces below are part of the Justice League chess set. Eaglemoss started their chess sets with a Batman one but it must have been popular enough that they are doing it again with a less batty theme. We’ve gotten an Eaglemoss Flash before but this one is definitely representing the New 52 version of the costume. So it has all the required extra lines the costume needs sculpted into the piece. While I might not be a fan of the new costume, I love the pose of this one. The last pose had his arms crossed and looked pretty cocky; this new one is practically taunting his foes to come attack him. Available that same month is the Captain Cold chess piece. I won't go into the old Captain Cold vs. new Captain Cold argument I figure we've probably done that enough here. 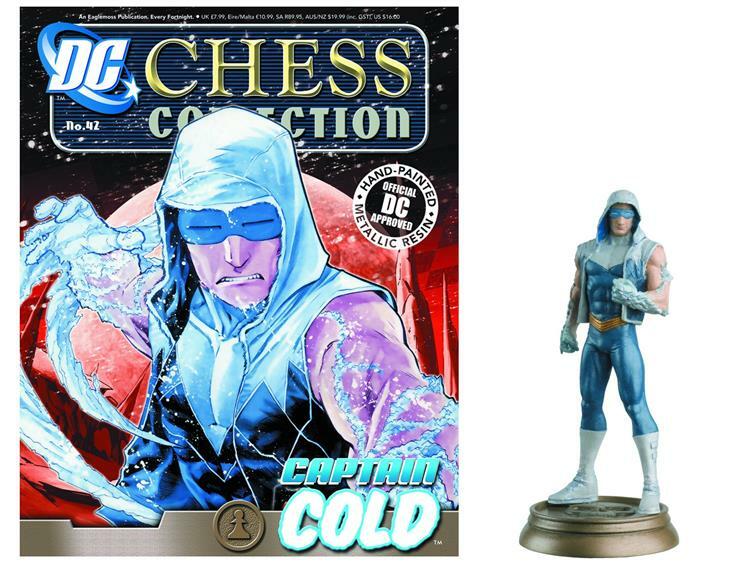 The Flash piece counts as a Bishop but Captain Cold only ranks as a Pawn. 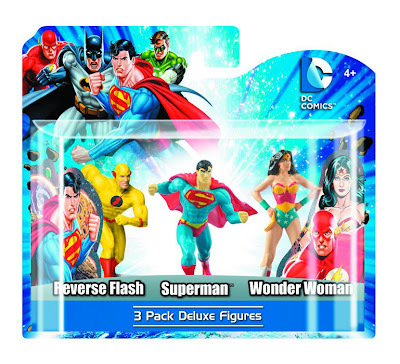 I would have thought in the Justice League chess set that each hero and their villain would hold the same rank. Maybe we’ll see a new Reverse Flash as a Bishop later in the line. While not related to Eaglemoss or chess I did want to point out that there are sets of 4 inch pvc figures coming out soon too. I only saw two sets currently listed. The first set is all bat related with Batman, Robin, and Bane. The second set is a little stranger; it contains Superman, Wonder Woman, and the Reverse Flash. I don’t normally question Flash merchandise when we get it, but I do think it’s an odd villain choice considering the heroes in the pack.